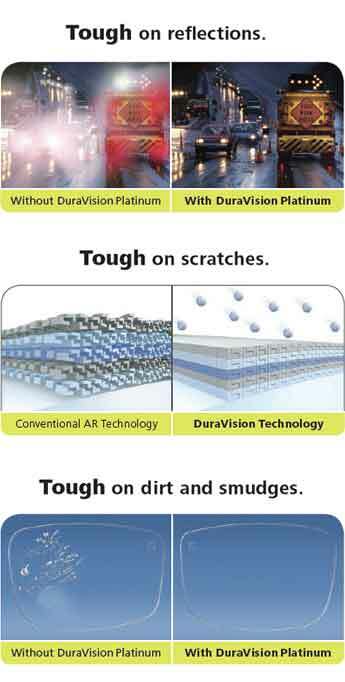 Introducing ZEISS DuraVision Platinum at Professional Vision in Timonium and Carney Village, MD, the anti-reflective lenses setting a new standard for clarity, cleanability, and toughness. Made by the company that invented anti-reflective lenses. Dr. Barnstein and the other Professional Vision optometrists prescribe ZEISS DuraVision Platinum to reduce light reflections by over 20% compared to other anti-reflective lenses¹, giving you maximum clarity, day and night. Ask your eye doctor about the ZEISS DuraVision Platinum lens during you appointment at Professional Vision in Timonium and Carney Village.